On my personal list of top wonders from my travels, Prague’s train tunnels definitely make the list. To my amazement, the tunnels are very far below street level. 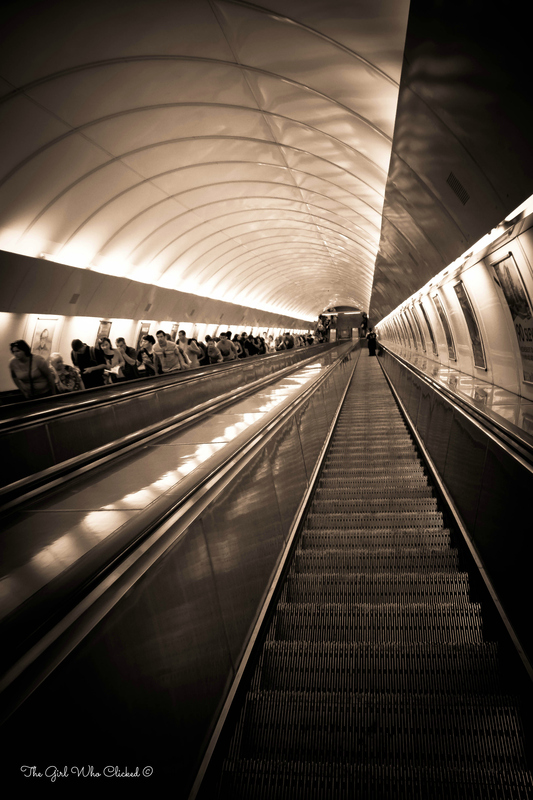 The escalators leading to the underground trains are so steep and long, that it makes for a very long descent. Check out other blogs that are descending here. Fabulous shot! And love the B&W conversion!